Tan, Zeli, Qianlai Zhuang, Narasinha J Shurpali, Maija E Marushchak, Christina Biasi, W. Eugster, and Katey Walter Anthony. 2017. “Modeling Co2 Emissions From Arctic Lakes: Model Development And Site-Level Study”. Journal Of Advances In Modeling Earth Systems 9. Journal Of Advances In Modeling Earth Systems. doi:10.1002/2017MS001028. http://doi.wiley.com/10.1002/2017MS001028. DelSontro, T., W. Eugster, George W Kling, S. Sollberger, Gaius R Shaver, and B. Wehrli. 2014. 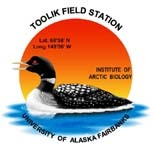 “High Resolution Ch4 Emissions And Dissolved Ch4 Measurements Help Constrain Surface Gas Emission Dynamics In An Arctic Lake (Toolik Lake, Alaska)”. Aslo Aquatic Sciences Meeting. Aslo Aquatic Sciences Meeting. Portland, OR. Mbufong, H. N, M. Lund, M. Aurela, Torben R Christensen, W. Eugster, T. Friborg, B. U Hansen, et al.. 2014. “Assessing The Spatial Variability In Peak Season Co2 Exchange Characteristics Across The Arctic Tundra Using A Light Response Curve Parameterization”. Biogeosciences 11. Biogeosciences: 4897-4912. doi:10.5194/bg-11-4897-2014. Eugster, W., and George W Kling. 2012. “Performance Of A Low-Cost Methane Sensor For Ambient Concentration Measurements In Preliminary Studies”. Atmospheric Measurement Techniques Discussions 5 (8). Atmospheric Measurement Techniques Discussions: 2567-2590. doi:10.5194/amt-5-1925-2012. Eugster, W., George W Kling, T. Jonas, J. P McFadden, A. Weust, Sally MacIntyre, and F Stuart Chapin III. 2003. “Co2 Exchange Between Air And Water In An Arctic Alaskan And Mid-Latitude Swiss Lake: The Importance Of Convective Mixing”. Journal Of Geophysical Research: Atmospheres 108 (D12). Journal Of Geophysical Research: Atmospheres: 4362. doi:10.1029/2002JD002653.